When I launched the Women Want to Hear Women podcast with Nash Country Daily on June 15, I had no idea how far this campaign would come in less than three months. After nine amazing episodes, I’m excited to tell you that we now have a platform on the Westwood One Podcast Network—and our first episode on the network features none other than Carrie Underwood, one of the most popular and powerful artists in country music. Carrie has always championed women. She is one of the people who inspired me to create this podcast to share women’s stories. When Carrie agreed to be my first guest for the national launch on Westwood One, I couldn’t wait for her to share her experiences, outlook and insight. Carrie did NOT disappoint. She was incredibly open and passionate about the “Women Want to Hear Women” message. We covered a lot of ground in this interview, from the lack of opportunities for females on country radio and how to handle haters on social media to women being pitted against each other and how to be the BOSS. I encourage you to listen to every word, because what Carrie has to say is important. Let’s keep this conversation going. Enjoy! Carrie talks about her Cry Pretty Tour 360 that will launch in May 2019 with Maddie & Tae and Runaway June. 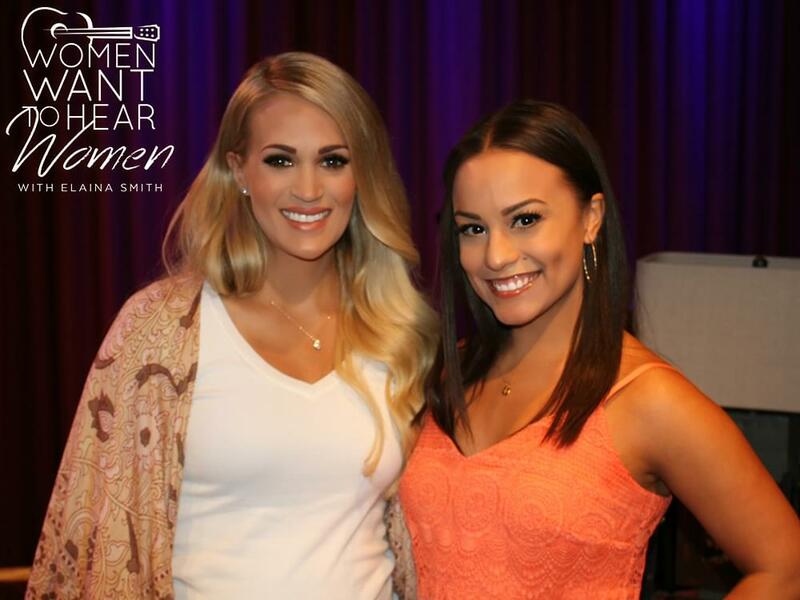 Carrie talks about female artists not getting the same opportunities as male artists.